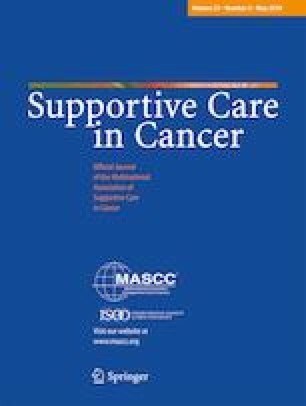 The aim of this randomized clinical trial was to examine the efficacy of Pennebaker’s expressive writing intervention (EWI) in improving the perceived quality of life (QoL) and in reducing psychiatric symptoms among patients who received a cancer diagnosis. Seventy-one consecutively recruited patients who received a cancer diagnosis for the first time in their life were randomized into two groups: an EWI group (EWG: n = 35) and a control group (CG n = 36). At the baseline, anamnestic information was collected for all patients, and the patients completed a series of self-reported measures assessing psychiatric symptoms, alexithymia, and health-related QoL. A modified Pennebaker’s EWI adapted to cancer diagnosis was also administered to the EWG. Six months later, 32 patients (EWG: n = 17, CG: n = 15) participated in the follow-up and filled out the same questionnaires. The Pennebaker’s EWI was effective in decreasing global psychopathology (d = -.55). Small but significant effects were also observed for alexithymia levels and health-related QoL, with the EWG showing a reduction in alexithymia levels (d = -.31) and an increase in the mental component of QoL (d = .31) compared to the CG. Our findings indicate that the Pennebaker’s EWI is effective in reducing the negative impact of cancer diagnosis on patients’ mental health.